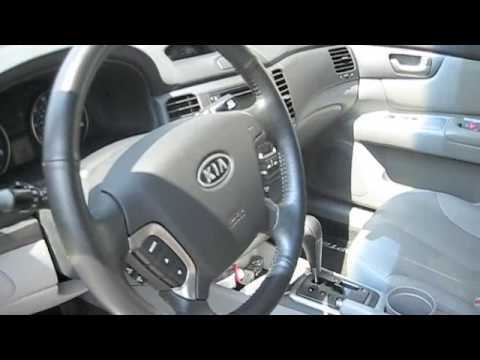 If you're looking for a four-door sedan with responsive driving characteristics, a lot of features and an attractive price, the 2008 Kia Optima should be on your shopping list. It's handsome, offers impressive safety features and represents a good value for the money. The ac system works great and has many options. This car is mostly reliable, although I have had some minor problems with it. I mainly have only had problems with the windows and some issues with transmission but nothing major. It does well on gas mileage and is dependable. The interior is quite comfortable and one thing that I love is the ac system works very well. I have taken it on long trips and never had any issues. 2008 Kia Optima slight problems. My car is reliable and has taken me on a few road trips. When it is raining, the esc light will come on and traction will not work for a few seconds before it grabs on. Also when it is raining sometimes the engine light will come on, and the steering will slightly lock up. This is mostly when I am low on gas. Otherwise, I think my car works great. My 2008 Kia optima is great. It drives great, is very reliable. I have had my 2008 Kia optima for 10 years and 3 months. I have never really had a problem with my car except for replacing the battery or something like that. Then earlier this year I had to replace the a/c and some other things because of the age of the car. It has been very reliable. I would recommend a Kia optima to anyone! 2008 Kia Magentis. Start Up, Engine, and In Depth Tour. KIA IS RECALLING CERTAIN MODEL YEAR 2006-2008 OPTIMA VEHICLES MANUFACTURED FROM SEPTEMBER 29, 2005, THROUGH JUNE 13, 2007. THERE IS A POSSIBILITY THAT THE SHIFT CABLE MAY HAVE BEEN INSTALLED INCORRECTLY, CAUSING TENSION IN THE CABLE. IF PRESENT, THIS CONDITION COULD CAUSE THE CABLE TO DETACH FROM THE SHIFTER ASSEMBLY'S DOWEL PIN PREVENTING THE TRANSMISSION FROM BEING SHIFTED. THE SHIFT LEVER CAN THEN BE MOVED INTO THE PARK (P) POSITION WHILE THE VEHICLE'S TRANSMISSION IS STILL IN THE LAST USED GEAR BEFORE DETACHMENT. IF THE DRIVER LEAVES THE VEHICLE WITHOUT ENGAGING THE PARKING BRAKE, THERE IS A POSSIBILITY THAT THE VEHICLE CAN ROLL INJURE A PERSON IN ITS PATH OR CAUSE A CRASH. DEALERS WILL INSPECT THE SHIFT CABLE AND REINSTALL IF NECESSARY FREE OF CHARGE. THE SAFETY RECALL IS EXPECTED TO BEGIN DURING MARCH 2011. OWNER MAY CONTACT KIA AT 1-800-333-4542.